Is Self Improvement A Good Idea For You? Productivity Tips the Gurus Don't Want You to Know! 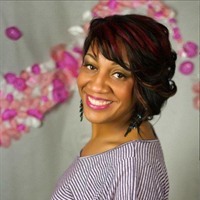 Keysha Bass is a powerhouse entrepreneur, sought after speaker and mentor. Her charisma, passion for success and down to earth approach to life and business attracts women to become empowered through her mentorship. As the founder of the Winning Women Network, she reaches hundreds of like-minded women, inspiring them to live their best life, now! Her success within the industry has been gained through consistency and persistence. In her present business partnership, Keysha reached the Top 10 income earner as well as earning her first 6 figures in less than one year, completely online using the power of social media. Keysha Bass is a leader to watch and a compassionate coach and mentor. Currently residing in Renton, WA with her husband and 2 sons, she is passionate about influencing the success of others, showing others how the smallest shift in mindset, and gaining a skillset is the formula to living an amazing life right now, its possible!